Here’s an interesting story from the UK. Many schools have noted with grave concern that children and young teens cannot tell the time, from a normal analogue clock. 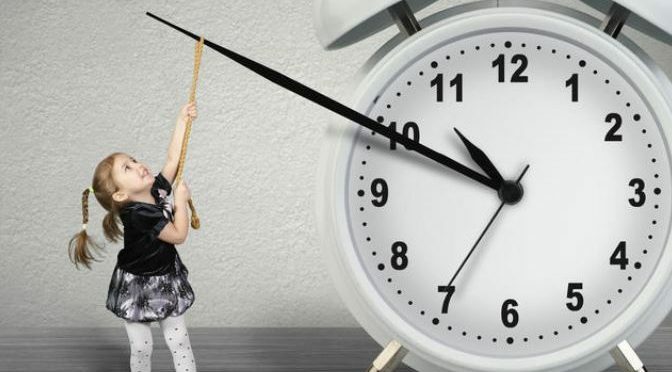 You know, the one that has two hands that go around a clock face.Malcolm Trobe, deputy general secretary at the Association of School and College Leaders, said recently that as children are struggling during exams, many schools “want to remove any cause for stress”. So what do they do? They remove the clocks! They replace them with digital clocks. Mind boggling! Whatever happened to telling the kids to do ten laps of the football field, come in, have a glass of water, clear the desks and show them how to tell time. But wait, the ‘other’ teachers might stop you and say, “Look here, old girl, the glass is made of… glass.” What if the kids hurt themselves while drinking water out a glass? It’s made of glass. How many of us remember planning trips where we pored over maps to take the best route? With a GPS option in most devices today, we find that we meekly follow the route charted out for us. Clear the decks on any kind of thinking about it, as it were. Why is it acceptable that we dumb down the ability to draw conclusions, the derivative aspect? Isn’t it a huge loss of intelligence and of our cognitive capabilities? Currently, one or two generations straddle the divide. But the students of today will have no access to aspects of learning that not too long ago were considered to be common sense. What else is being changed irrevocably? Newspapers. Often described as a habit rather than a product, the epitaphs are being written for print. Many new formats are available to consume news. Many of them skim the surface. Where is the in-depth reportage, the affinity and desire to deeply understand a situation? The inability to focus one’s attention is evidenced by channel-surfing, switching media constantly. Does it really display a sharpness in focus? Millennials like to think they are switched-on. Let’s look at the human-centred design approach offered by IDEO. This is the company that created the Apple mouse, for instance — everything had to be intuitive and simple to use. I love the product but what is interesting is that it completely goes against the experiential learning that the human species was born to do. To attempt something, make mistakes, learn from them in order to make more efficient or successful attempts at a task. To that end, I will say that the current practice that everything has to adapt to convenience is fast food for the brain. I don’t need to learn multiplication tables, I don’t need to develop spatial intelligence to know where I am, neckties are too fiddly. But unlike the case for fast food, it will be really difficult to go back, to relearn these arcane arts that were basic to previous generations. Is there an alternate model for development? It appears this is it: self lace-up shoes. When I say why, there are any number of voices that reiterate, ‘why not’? Welcome to the future. Stephanie Keenan (@MrsKeenan100), a head teacher of English in an interview to the BBC, described the analogue clock as an “anachronism” for today’s “digital generation”. But who are the academics pandering to? Is it the lowest common denominator? Or is this political correctness? I think the teachers are abdicating responsibility. The whole situation is too Alice in Wonderland for me. I was going to say that education today is an anachronism, but that might be a more apt descriptor for me. Harveena is thinking of commercial applications of installing solar clocks in gardens. Do you want one?